For me, Albert Ayler is like Jimi Hendrix in a few important respects: his sound is instantly recognizable; he had a seismic impact on other players, who scrambled to catch up or come to grips with what he was doing; and I really get the most pleasure from the stuff he did in the last 12-18 months of his life. When it comes to Hendrix, I can really take or leave Are You Experienced? and most of Electric Ladyland, and I don’t actually like Axis: Bold as Love at all, but the Band of Gypsys was one of the greatest groups in the history of rock. The live material and the dribs and drabs from the studio that have emerged in the years since Hendrix’s early death (including an astonishing jam featuring Hendrix, Buddy Miles on drums and Larry Young on organ) are some of the greatest rock music ever recorded, full stop. And even after disbanding the Band of Gypsys, Hendrix made the incredibly smart decision to keep bassist Billy Cox and create a rhythm section around him and drummer Mitch Mitchell, fusing his two trio sounds into one entirely new thing that had the over-the-top jazz-metal exuberance Mitchell had always brought, anchored by Cox’s miles-deep R&B groove. Similarly, Ayler rediscovered groove in the last year of his life, forming a band with his girlfriend, Mary Maria Parks, that played a more overtly gospelized, bluesy version of the raw free jazz that he’d made his name with in 1964 and 1965. Live recordings like Nuits de la Fondation Maeght and Live on the Riviera, from 1970, combine melody and wildness in a way that earlier albums really don’t, plus you get the sound and cumulative energy of a working band on a gig, rather than personnel gathered for a free jazz session, as on the studio releases. 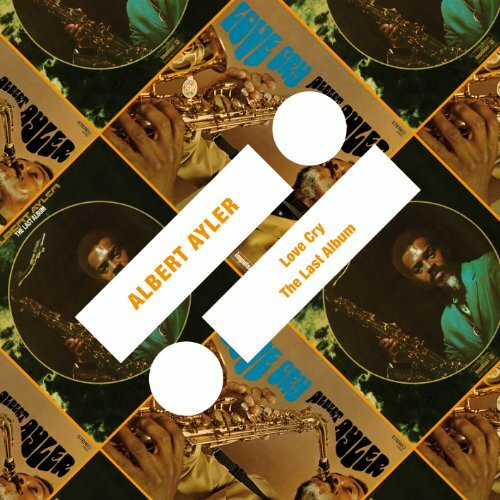 The Last Album, on the other hand, is easily the weirdest Ayler record, and all the more fascinating for its experimentalism. It opens with “Untitled Duet,” on which Ayler plays bagpipes in a very Middle Eastern fashion and Henry Vestine of Canned Heat cranks out doomy power chords that wouldn’t be out of place on a Cactus or Humble Pie album. After that, we get a seven-minute poem by Mary Maria Parks, leading the band in call-and-response clatter ‘n’ wail (“Again Comes the Rising of the Sun”); some swinging blues (“Toiling,” with two electric guitars this time); another vocal piece, this one about Noah and the Old Testament (“Desert Blood”); and three pieces of “typically” Aylerian free jazz (“All Love,” “Birth of Mirth” and “Water Music”). It’s a mixed bag, but there’s nothing really awful here, even if “Desert Blood” is pretty hard going. And it does feel like a unified record rather than an odds ‘n’ ends compilation, even if it is the latter. Ultimately, given that The Last Album is one of the Ayler titles that’s been hardest to find on CD until now, its inclusion here makes this disc well worth picking up.